Upon your first appointment with Flame Beauty, we collect personal information. We obtain this information on a consent and contractual basis. The information that we collect from you is used to contact you if required, to establish the suitability of any treatments and to advise you about services, which we offer from which you have shown an interest. We do not trade any e-mail lists or sell them to any third party organisations. 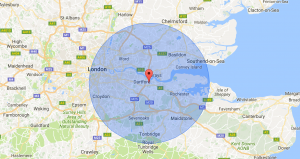 Flame Beauty uses Google Analytics to find out information regarding the number of visitors to our website, and their geographical information and demographic and behaviours. This is done each time someone visits www.flamebeauty.co.uk, and the way that the data is analysed and processed is completely anonymous, no users are identified. Ourselves, and Google have made and will continue to make no attempts to establish the identity of people who visit our website. We may also share your personal information with any member of our business including freelancers for the interest of business operation. We only collect and retain relevant personal data. This shall not be kept for longer than it is necessary for that purpose, or those purposes. It shall be retained for a maximum of 3 years and a minimum of 6 months. You are entitled to view, amend or delete any personal information that we may hold at any time. Please e-mail such requests to Hayley Chuck at info@flamebeauty.co.uk. If you think that there is a problem with the way that your data is handled, please contact the ICO www.ico.org.uk. This policy was reviewed in April 2018 and will be reviewed annually.